Route de Spa 155, 4970 Spa-Francorchamps, Belgium. 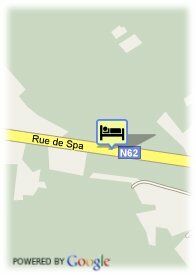 With beautiful surroundings, the hotel Roannay Francorchamps is situated in Francorchamps, 300 metres from the circuit of Spa Francorchamps and 5 minutes from the new Thermes of Spa. Well-recommended, this hotel offers free Wi-Fi internet access throughout the entire hotel. Along with a meeting room for 20 people, we can comfortably accommodate business guests. All rooms are very cosy and well-equipped. A heliport, garage and secure parking, with room for trailers, are available for your convenience. At your leisure, you can enjoy the outdoor swimming pool and the sauna. 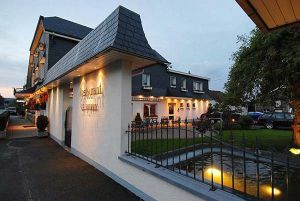 Renowned gastronomic Kitchen to recommend ,is served and there is a wine cellar with 10,000 bottles of wine. Less than 15 day(s) before arrival : Entire reservation will be charged.